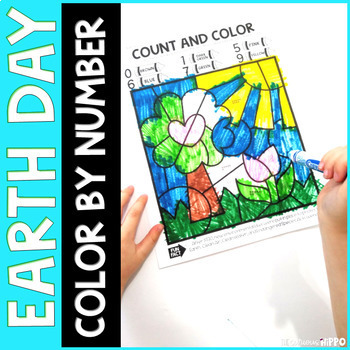 This Earth Day Color by Number is the perfect way to practice subitizing and some fun facts about Earth Day. Subitizing is the ability to identify the number of a small group of objects without counting. Like on dominos or dice! Number sense/ subitizing is an important skill for math. 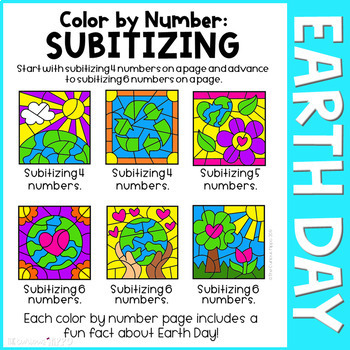 •2 sets of 6 Earth Day-themed color by number pages. 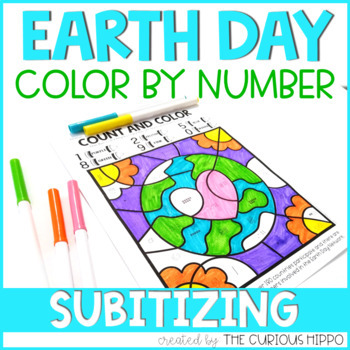 •One set with crayon colors and color words and the other set is black and white with color words. •Each page includes a fun fact about Earth Day! If you like this resource, be sure to check out my page for more and follow me to receive up dates and the latest resources! 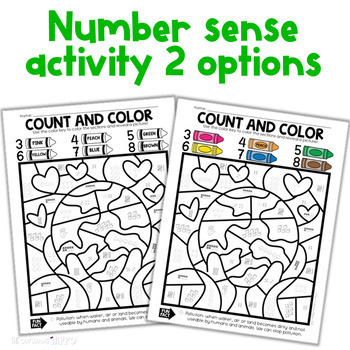 This is perfect for early finishers, groups, individual, partners, addition to a lesson, student teacher, parent helper, homework, homeschool, centers and more!